Have you always dreamed of traveling the world but have no idea where to start? Since we’ve left on our journey, we’ve gotten questions like, “How did you do it?” How are you able to travel?” And statements like, “I wish I could do that!” The truth is, we are no different from you or anyone else. We aren’t special. If you want to see the world and travel, you CAN! This book is for anyone who is eager to travel the world, who is sick of looking at their desktop background of somewhere beautiful/scenic and wishing they could witness it first hand, and who has the means experience life beyond their comfort zone. This book is about YOU. It gives you the exact steps that we used to kickstart and begin our travels. It will give you the resources and inspiration to be confident in taking that giant leap into the unknown, as well as, how to plan, save and budget for your trip. 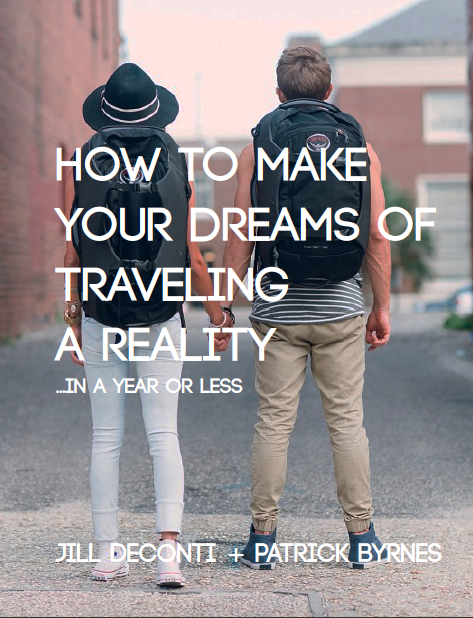 By the end of this book, you will be ready to begin your journey around the world within a year or less!